The Darien Blue Wave, the Class LL state champion and consensus No. 1 team in the state’s high school football season-ending polls, is the Walter Camp Football Foundation’s choice to receive the 2016 Joseph W. Kelly Award. The Kelly Award is presented annually to Connecticut’s top high school football team. It is the second straight year Darien has earned the honor, and the first to repeat since Xavier (2010 and 2011). Darien won its 10 regular-season games, including a 37-34 overtime victory over eventual Class L champion New Canaan, on Thanksgiving morning. The Blue Wave then defeated Greenwich, 29-3, in the Class LL quarterfinals on November 29. 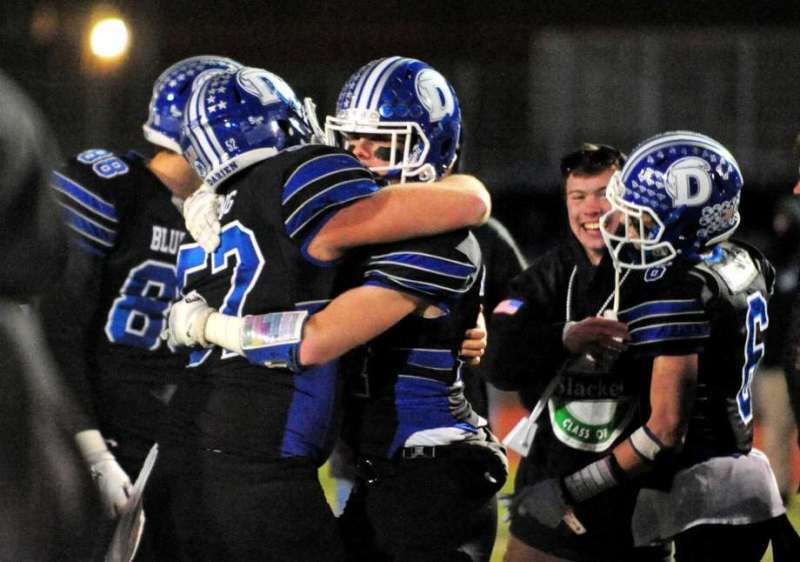 In the semifinals, Darien defeated Southington, 38-7, and culminated its 13-0 perfect season with a 28-7 victory over Ridgefield in the championship game on December 10. In its 13 games, the Blue Wave averaged 40.4 points per game, allowing just 13.6. Coach Trifone and the Darien team will be recognized at the organization’s High School Breakfast of Champions event, on Saturday, January 14 at the Omni New Haven Hotel. Darien, along with the three other state football champions (New Canaan, Hillhouse and Ansonia) will be feted. Also that morning, the Walter Camp All-Connecticut Team, High School Player and Coach of the Year will also be recognized. Later that evening, members of the 2016 Walter Camp All-America team, including Player of the Year Lamar Jackson (Louisville) and other major award winners (Alumni Award-Orlando Pace; Man of the Year-Warrick Dunn; Distinguished American-Mike Ditka), will be honored at the organization’s national awards banquet, presented by KeyBank, at the Yale University Commons in New Haven.